Blazé Milano's blazers are inspired by icons like Coco Chanel, Ava Gardner and Grace Kelly, who all wore sharp tailoring long before it was considered a staple for women. Made from black and white houndstooth wool, this double-breasted 'Kentra' version has peak lapels and lightly padded shoulders. 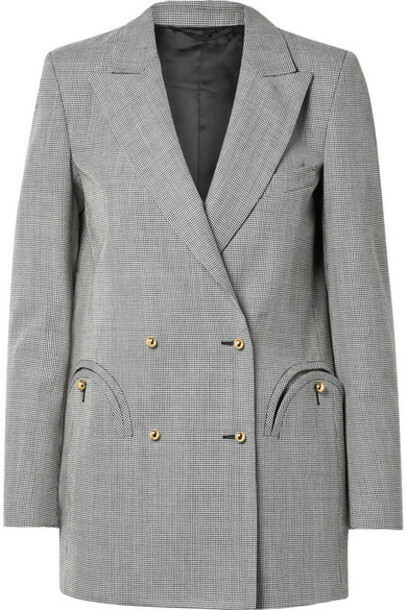 The functioning gold buttoned cuffs and unique front pockets are evidence of the label's attention to detail and craftsmanship.